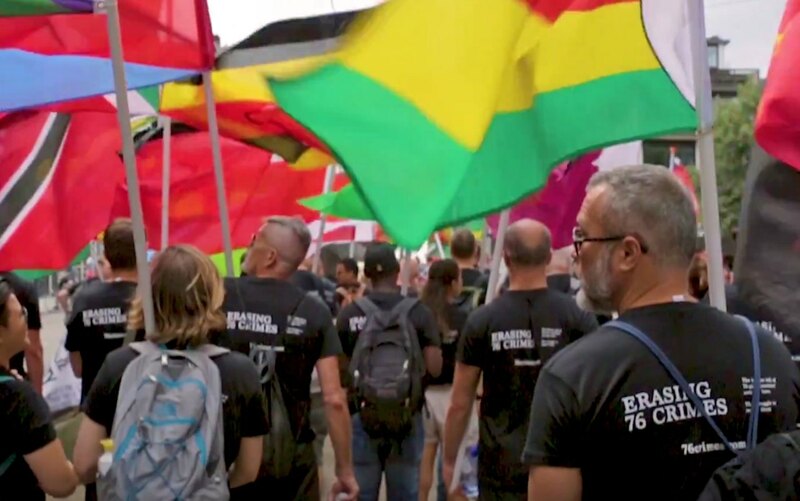 During Amsterdam Pride 2018, marchers in Erasing 76 Crimes t-shirts carried the flags of repressive nations to pressure them to repeal their anti-LGBT laws. The St. Paul's Foundation supports advocacy journalism in the struggle for justice for LGBT people, especially in countries where homosexuality is illegal. The Caribbean Human Rights Media Network. A proposal currently under consideration by several of the Caribbean’s most influential LGBT rights activists. The foundation also supports human rights journalism in Nigeria, Cameroon, Uganda, Jamaica and elsewhere through the English-language blog Erasing 76 Crimes, the French-language blog 76 Crimes en français, and its partner NoStringsNG web site in Nigeria. St. Paul’s Foundation for International Reconciliation is a U.S. tax-exempt 501(c)(3) registered charity (California 80-0647355).